Mortgage Specialist vs. Mortgage Broker. So what is the difference? Is one better than the other? Will one or the other affect my interest rate? These are very common questions that REALTORS® often get asked on a daily basis. Since us REALTORS® are neither a mortgage specialist or broker, I will be referencing my information from a blog post from Dominion Lending that I will link here. Let’s start with mortgage specialist; they are employees of the bank that they work for like ATB, RBC, CIBC, BMO etc. It is their job to sell bank related products to you, so when you apply for a mortgage with your bank of choice, your mortgage specialist will get you a mortgage based on their products and rates. A mortgage broker or mortgage associate works for an independent company that has access to multiple lenders’ mortgage rates and offers. A quick Google search shows companies like Canwise Financial, Dominion Lending Centres, Roost Mortgage and Invis to name a few. Mortgage brokers are similar to a dating service in my opinion; it is their job to find a lender that will best be suited to “date” you based on the property you wish to purchase, your credit score and interest rate they have to offer. 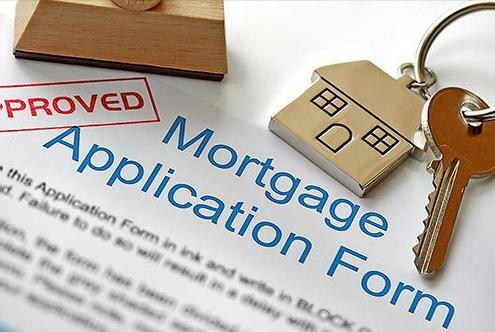 Just like a dating service, your mortgage broker will approach you with the approval from the lender and see if you accept their terms and conditions. They also have access to a wide range of interest rates from different institutions. Mortgage Brokers are also licensed by RECA (Real Estate Council of Alberta) the same governing body that licenses us at RE/MAX here in Edson. Every bank or lender has a different set of rules and a different set of requirements that they follow. You could end up being declined with a mortgage specialist but approved with a mortgage broker. As an example your mortgage specialist works for XYZ Bank INC. and you have been dealing with them for years. You wish to purchase a property and apply for financing with their mortgage specialist and get declined…. This does happen a lot, it could also mean a LOT of different things from your credit, to the source of your down payment, CMHC, the property etc. However, this is where your mortgage specialist will have their hands tied and will not be able to help you as they have exhausted their resources. A mortgage broker will be able to try again if the first lender declines you and no this does not mean they will be pulling your credit report over and over again, they just pull it once. A mortgage broker or associate also does not get paid unless you get a mortgage so they will fight a little harder to get you approved. Here are some tips and advice on how to make an informed decision on if you should go with a mortgage specialist or a broker. Pull your credit first. You can do this through Equifax.ca and understand your credit score and what is included in it. Determine what you want to purchase. Are you looking for a house, country property, mobile, raw land or commercial? Each of these options has their own set of financing challenges. Do you know where your down payment is coming from? 5%-25% of the purchase price is needed depending on what you are wishing to buy. How are you getting the money, is this in your account already? Do you need to access RRSP’s, your tax free savings etc. Do you know how much money you make? Pull out your taxes and your pay subs. Interview your mortgage specialist and your mortgage broker. Show them your credit report, your income and what property you are interested in purchasing. Some banks will not finance mobiles or anything over so many acres or will only look at credit ratings over a certain number. Ask them straight out, “This is my credit score, this is how much money I make, this is where I will be getting my down payment from and this is the property I would like to purchase. Does this meet your financing requirements for a mortgage?” Don’t be afraid to ask questions, brokers and specialists are both there to help you, just make sure you make a choice that is right for you. What are RPRs and LOCs? If you have ever purchased a home you may have heard your REALTOR® speak about RPRs and LOCs. But what are RPRs and LOCs? I will break it down for you and explain what each item is and why they are important in a real estate transaction. 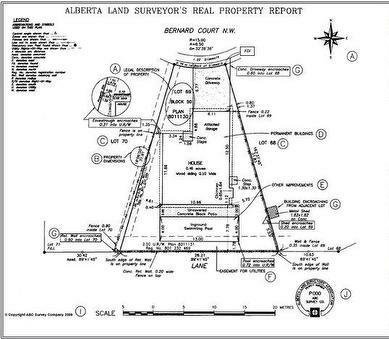 Let’s start with RPRs, RPR stands for “Real Property Report” in essence, it is an outline drawing of your property, any buildings, sheds, garages, fences etc. that you may have. This is completed by a qualified surveyor. If you have ever seen people by the side of the road with a tripod and what looks to be only half of a pair of binoculars on top, that is what the survey process looks like at the start. This now brings us to LOC, LOC means “Letter of Compliance” and this is obtained from either the Town of Edson or Yellowhead County depending on where you live. A member from the Town or County will need original copies of your RPR, the survey drawing you just had completed. From here they can verify that the buildings on the property meet the zoning requirements. In other words, you have a residential dwelling with a residential zoning. Same applies to commercial. They will also check and verify that all of the buildings on the property meet the minimum setback requirements, which means that they are not too close to the property line for the Town or County’s specifications. They will also check the location of fences and any out buildings. What happens if the building, fences, etc. are too close to the property lines? Well, every case is different and it will be up to the discretion of the Town or County of how they would like you to handle it. Why are RPRs and LOCs important in a transaction? It is a full outline report of your property, you know what you are selling / buying and that is what it is. To put it in a different light, if you look at food labels, your RPR and LOC is the ingredient list, verifying what is advertised on the label is accurate. They lawyers will require this in order to transfer the title to the new owner as verification that buyer is buying is accurate. Having a real property report is a great thing, you know that in the future you are not going to have any property line or zoning issues. Of course, if you have any further questions on this article, our agents will be more than happy to help you out. January of 2016 has started off to not a bad start with 4 sales less than 2015. Contrary to popular belief, the market has not gone belly up and the 30% drop in prices is nowhere to be seen. I have been getting stopped by several people and in the conversations I have heard things like, “Oh the real estate market is going to bottom out.” Or “Oh prices will be dropping 30%” or “Why would I want to pay that much, the prices will drop by over 50% and Edson will be a ghost town in six months. For the first time since 2007 we also have rental vacancies, but there are not that many vacancies. The single person who is coming here to work is not as abundant as they used to be. There are a lot of bachelor suits, or single bedrooms, or two bedroom apartment style units available. We have noticed that families are replacing the single person rentals. However, depending on companies and the projects they have planned this could change. 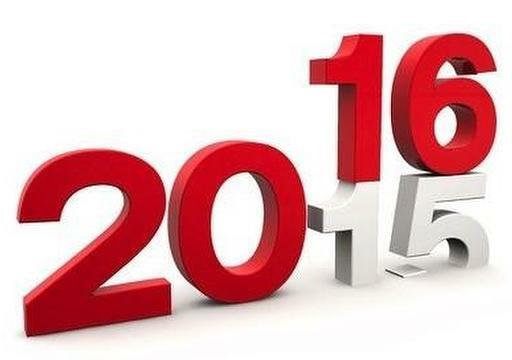 2016 will boast a whole new set of challenges, challenges that we will take head on as a community and power through. We may need to watch our spending, be a little smarter and things may be worse before they get better but they will get better.